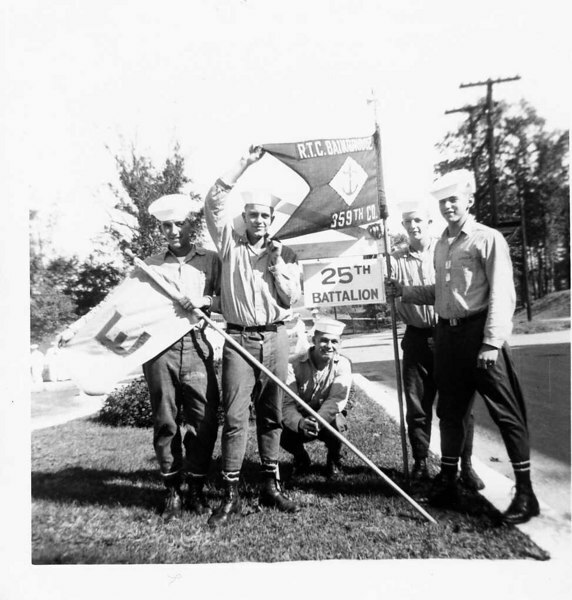 Displayed left, is Company 359 "E" Flag. Displayed right, is Company 359 Flag. 25th Battalion sign displayed under Company 359 Flag.